The aim was to enable the end customer to manage a comprehensive catalogue of MEF services on top of the existing complex and interdependent infrastructure. Amartus integrated equipment from two independent global vendors with the provider’s MEF orchestrator. 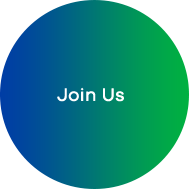 A layer responsible for mediation between the orchestrator and vendors’ NMSs. 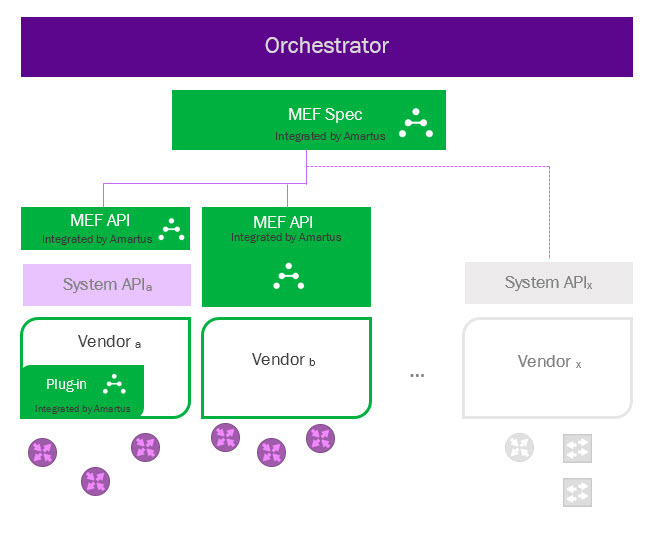 The layer exposed an interface (REST) compliant with the MEF specification delivered by the service provider, and used the southbound message bus of the vendors’ systems to achieve the business goals. Since part of the required functionality (e.g. QoS) was not supported by the vendor NMSs, Amartus’ engineers also developed and integrated a plugin module that covered the functional gap. An NMS system for MEF services management. The northbound interface (REST) of the delivered system was fully compliant with the MEF specification provided by the customer. In addition, the MTOSI interface was exposed to the orchestrator. 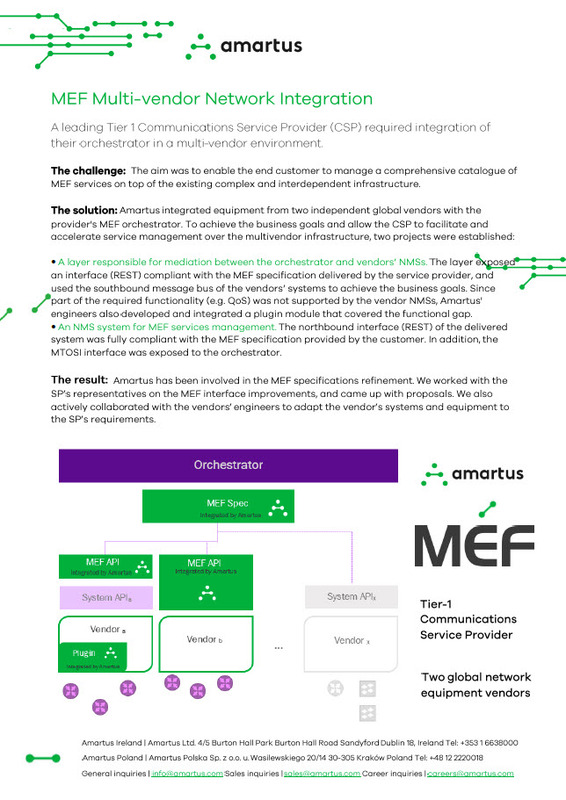 Amartus has been very involved in the refinement of MEF specifications, working closely with CSPs on MEF interface improvements. We also actively collaborated with vendors’ engineers to adapt their systems and equipment to the CSP’s requirements.